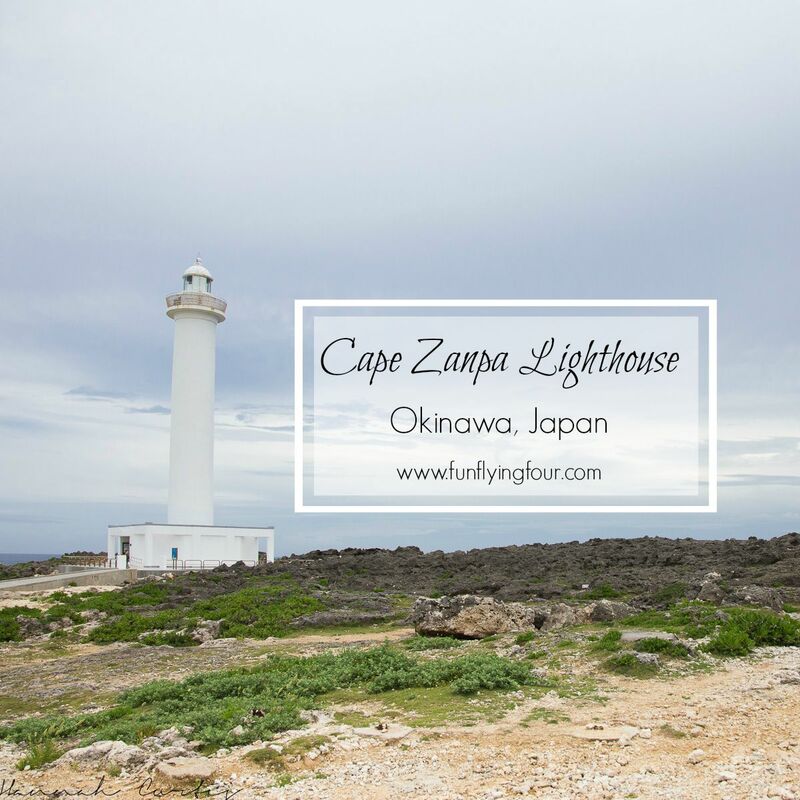 This wasn’t our first trip to Cape Zanpa, in fact it was our second or third either but every time we have been, the lighthouse has been closed and therefore we have been unable to climb it which means I have been unable to cross it off the Bucket List! 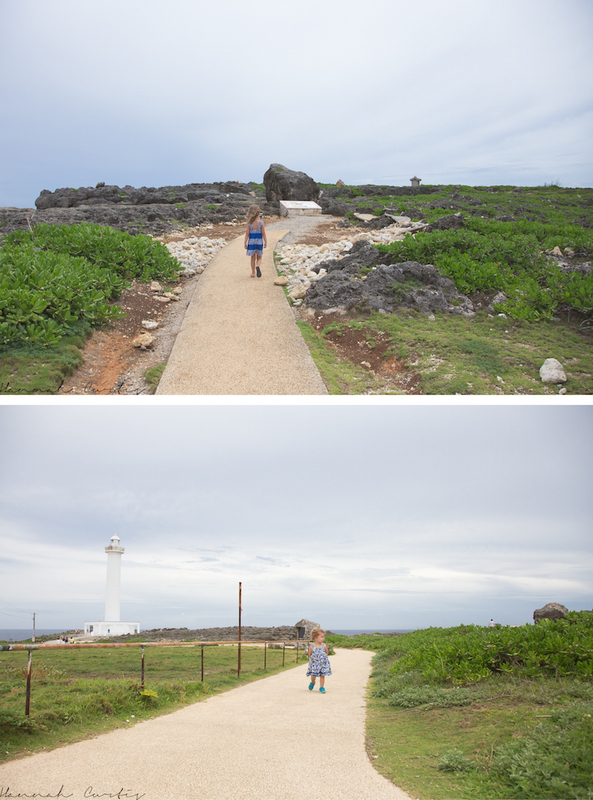 Finally one windy day last month the lighthouse was open (adults 200 Yen, kiddies were free!) and I am so pleased it was as it made the 40 minute drive all that much more worth it! I never thought the lighthouse was particularly tall so I was rather surprised when it took forever to climb the 99 stairs up the top; of course carrying Clio probably made it seem that much further. When we finally reached the top Eden lasted all but a couple minutes and was ready to head back down, I personally think she just really enjoyed climbing the stairs! Clio however loved being out and getting blown about. When we returned to the bottom we checked out the tiny museum although it was virtually all in Japanese so it was more a walk through than anything else. Zanpa also has lots of trails to walk so we did a big loop, only returning because Clio announced she needed to use the bathroom, not wanting to see how long she could hold her pee for we quickly returned to the bathrooms. Since we were back near the car we decided it was a good time to eat, we perched at a picnic table near the goats and ate our packed lunch before buying some carrots so the goats could get some lunch too. Clio really loves animals however she doesn’t like to get too close, possibly a little apprehensive from her visit to Lincoln Zoo where she was checking out the goats and a peacock came up right behind her and scared the bejesus out of her! So we left the goat feeding to Eden, who did a great job at ensuring each goat got an equal share! I am loving the adventures the girls & I are having this summer although sad that Matt isn’t able to join us on our mid-week ones; someone has to earn the money, right?! We still have lots of things to do on our ‘100 Days of Summer’ list and I actually can’t quite believe we are already at the end of July…better get adventuring before summer is over! What are you all up to this summer (or winter!)? Oh my gosh how fun! Hahah I’m sure my son would do the exact same. But lol a trip to Home Depot is an adventure with this kid. kids are the best adventure thats for sure! We never made it to the top of the lighthouse. 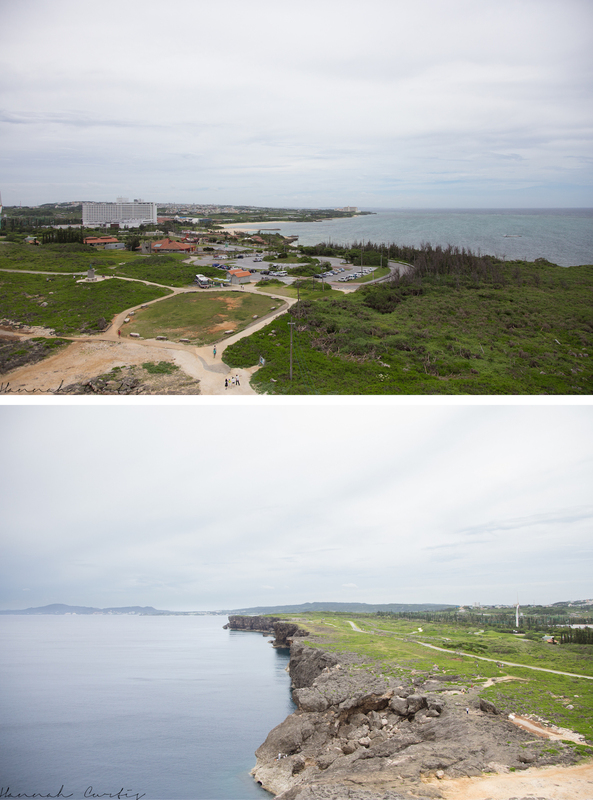 We did go to the “viewing deck” (??) to the right and took photos OF the lighthouse. Either way, beautiful spot! When we first got here it was closed for the longest time. I am not sure when it re-opened. The kids loved it but I wouldn’t say you were missing out on a whole lot! love the girls’ dresses! More than anything though I love their smiling faces as they pose. Clio is getting so grown up since you were here! I know, I feel like she has got a little taller the past month and she is talking loads!